Add some luxury to your home this winter by suspending our Ruby Deco Snowflake lanterns around your living room and dining room. 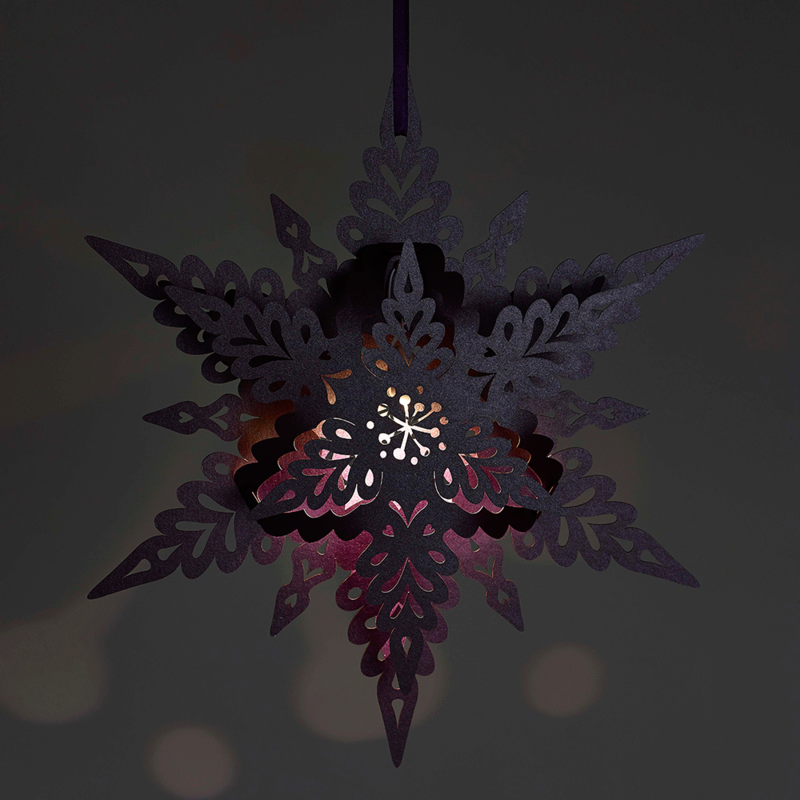 Each laser cut snowflake is Art Deco inspired and made of 3 pieces that simply slot together to form the unique shape. Pop the enclosed warm white LED Buttonlite inside the snowflake lantern to add ambience to your home during Christmas and New Year. 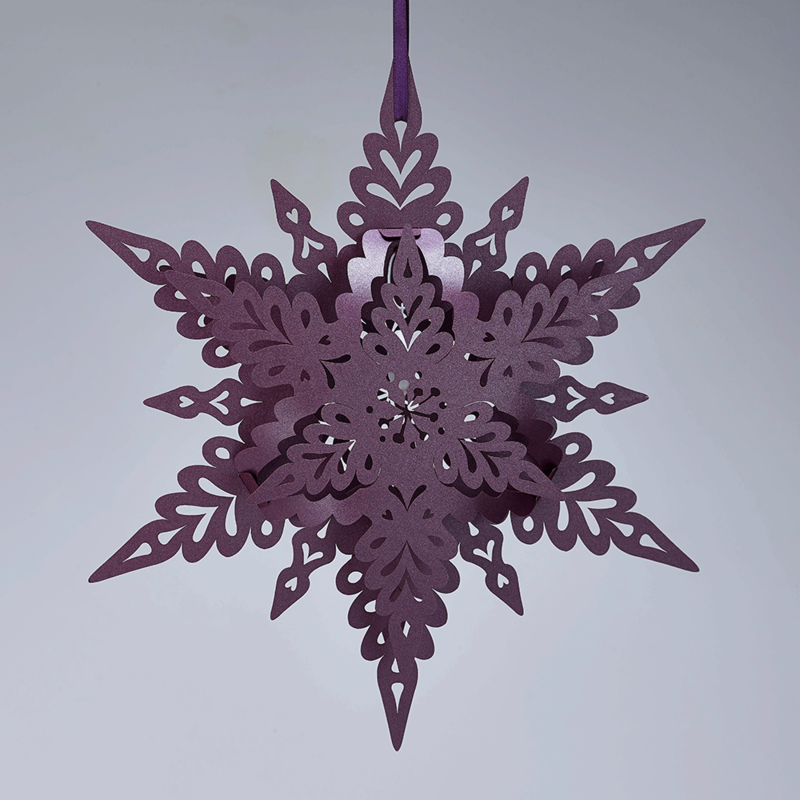 Deco snowflakes measure W36cm x H32cm x D6cm and come with a length of colour matched ribbon for hanging. The fabulous spiky yet curved design is like no other snowflake you will have seen before – just like the belief that no two snowflakes in nature are alike!